MOD MACHINE is the ONE amp that can be properly reconfigured to sound like many classic big sounding “M” style amps from different eras. 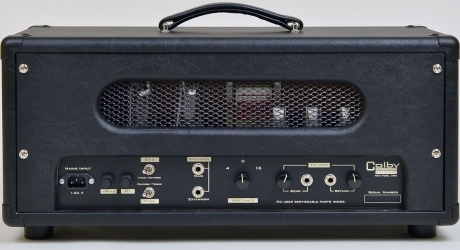 If you are looking for a modded “plexi”, this may be the amp for you. 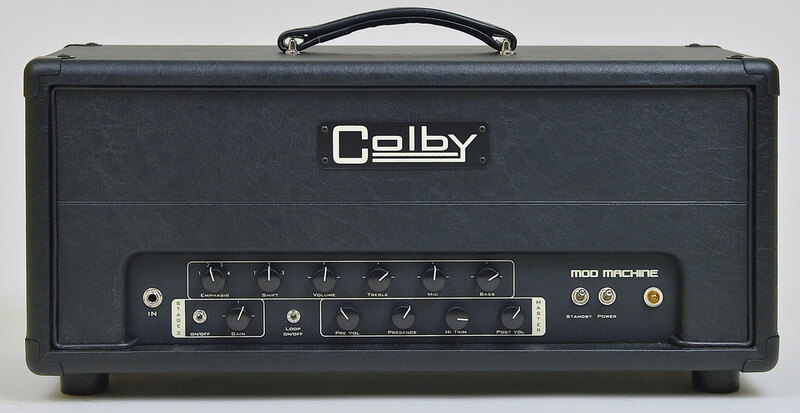 The MODs include: four-way switchable bright switch (Emphasis), switchable cascaded gain stage, bypassable tube effects loop with level controls, Pre and Post Master Volume controls and others. MOD MACHINE is a single channel amp with a “plexi” heart that is specifically designed to recreate a variety of classic British tones. 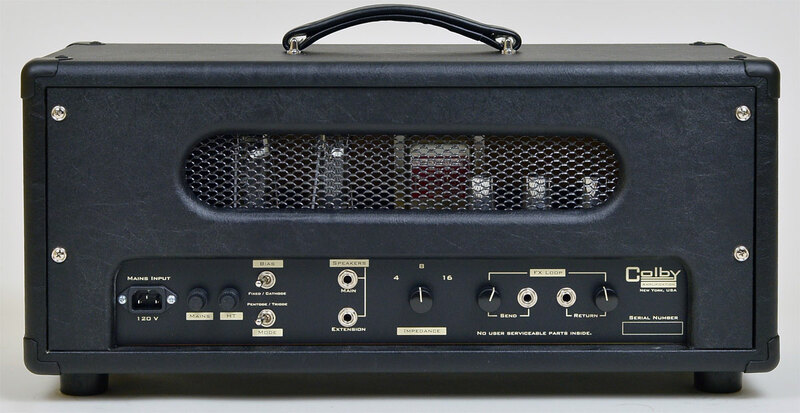 Starting from a full, clean sounding 1960s circuit, the MOD MACHINE can morph to everything from an early “Plexi” to a “Metal Panel” to a “Master Volume” to somewhat higher gain sounds (however, please keep in mind that this is not a “high gain” amp). 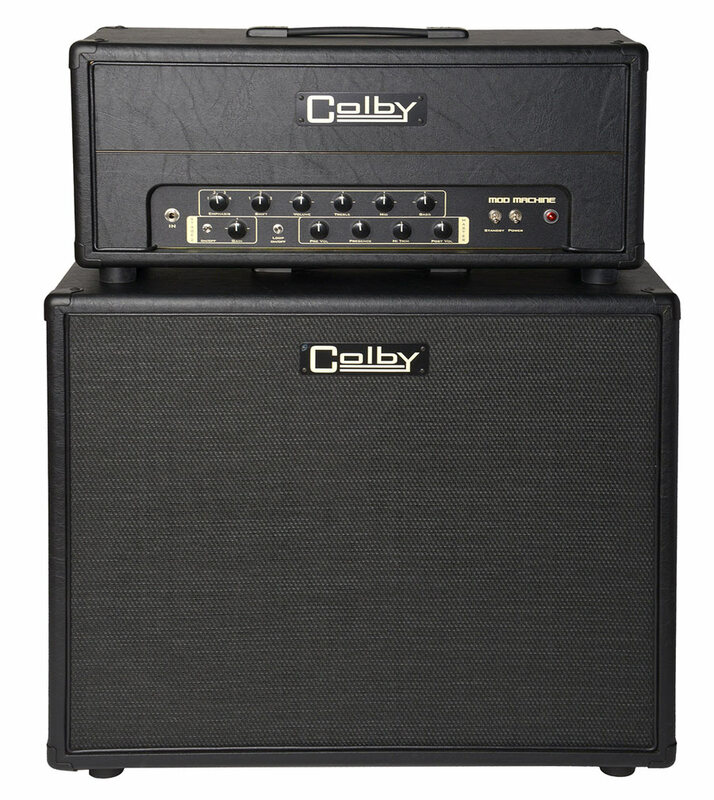 Check out the videos for examples of what this amp can do. The power section includes four different modes (Pentode/Triode/Cathode/Fixed) for additional tonal options and with corresponding power ratings from 12-50 watts or 22-100 watts depending on the model. The all-tube FX loop has send and return level controls so you can hook up your favorite time based pedal and rack effects for maximum tone and flexibility. The comprehensive MASTER section includes Pre and Post Master Volume controls as well as Presence and Hi Trim controls so you can dial in the right settings for both low and high gains sounds and achieve the sound you are looking for at any volume level. Other significant controls are the four-way Emphasis (bright cap), three-way Shift switch and a switchable extra gain stage (STAGE 2). The Emphasis switch reconfigures the front of the preamp from smooth to chimey to aggressive to full-on drive. The Shift switch reconfigures the mids from scooped to extra “push”. STAGE 2 adds a gain stage and reconfigures the preamp for a tonal shift to a more modern sound. STAGE 2 has its own Volume control which in conjunction with the Emphasis and Shift switches plus dual master volumes allows the user to dial in just about everything from clean to mean to scream. Some people have asked why the Mod Machine is not channel switching. There is a good reason! I designed the Mod Machine to be the ultimate multi-voiced “M” style amp. It is capable of many different sounds and does it authentically. In order to accomplish that with accuracy many things have to be switched, some at the same time. That is very difficult to do in a hand-wired channel switching amp and if done, would have to incorporate an enormous amount of additional circuitry adding to cost, complexity and potential future reliability issues. This amp is for someone who likes many different sounds but usually uses a plug-and-play one-sound amp. If you can’t decide which “M” amp to get or you want all of the sounds but don’t want three different amps, this is the amp for you. 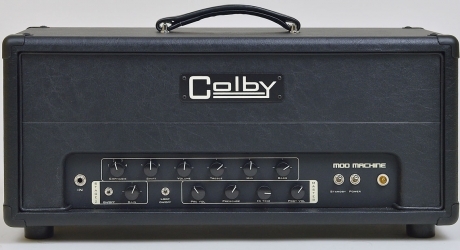 As with all Colby amps, the MOD MACHINE is built to the absolute highest quality standards and is 100% hand-built with care. The MOD MACHINE has tone for days and is a lot of fun to play. It’s got multiple clean sounds, and multiple OD sounds. It cleans up from your guitar’s volume control and sounds great with external pedals whether you are using a compressor or OD in front of the amp or a delay or reverb in the all-tube fx loop. Newly available, designed specifically for the Mod Machine. Closed back and loaded with one Celestion Vintage 30 and one Celestion Creamback H.